The play looks at the first colony of convicts in 1788 Australia, as they present a play under the direction of an office-gaoler. 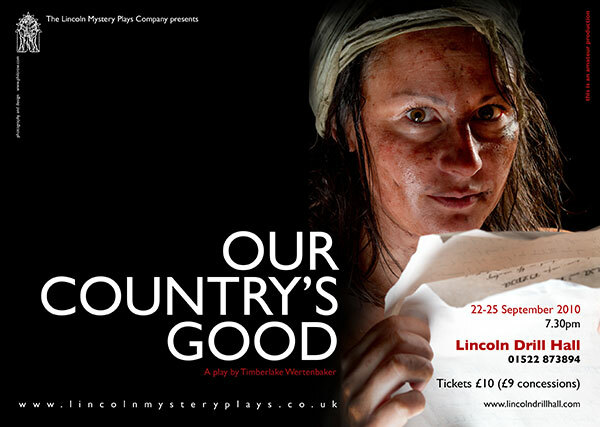 It is based around historical facts and looks at how theatre impacts individual’s lives, questions how society treats the less fortunate, and challenges penal reform and capital punishment. Director Geoff Readman believes it’s a remarkable story, and has cast each character individually: “Consequently, there will be one actor for each character, but without any loss of the ensemble quality which I believe the author intended. “Actors are in full view of the audience throughout, creating sound and music and stepping from the ensemble to the main playing area to give prominence and clarity to the issues within each of the self contained scenes. Our Country’s Good celebrates the resilience of human spirit and looks set to make audiences both laugh and cry.